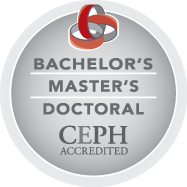 Our commitment to educating researchers and practitioners at the doctoral level is combined with the development of high-quality research programs. Through these programs, the college has established itself as one of the leading health research programs in the country. For PhD students in the College of Public Health and Health Professions programs, follow this link to access your Individual Development Plan (IDP). To review content of the IDP, a pdf version can be found here. For more information please contact your program director.